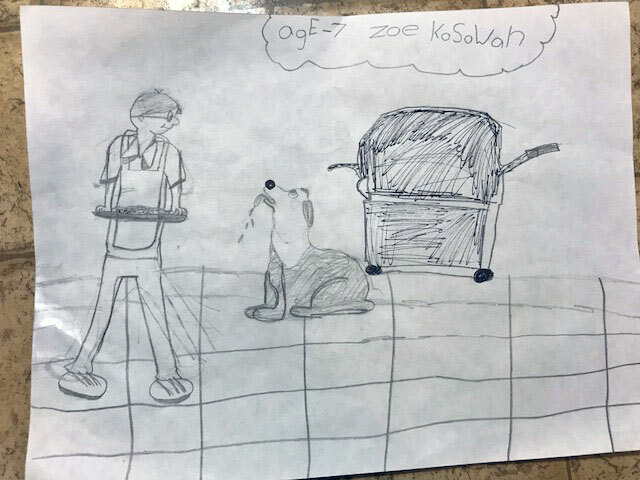 Farley Drawing Contest Entries – And Winner! Here are all the entries we received for our “draw Farley” competition, with Lynn’s comments below each one. 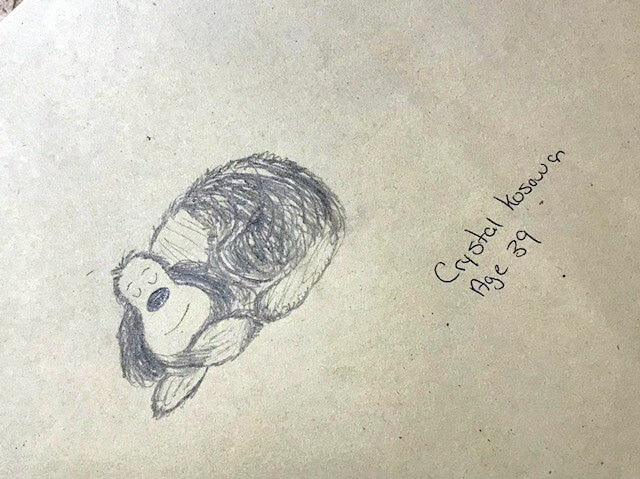 The winner is Number Four, below – if you’re the artist, we’ll be in touch shortly! #1) Nice arrangement and nice colouring. 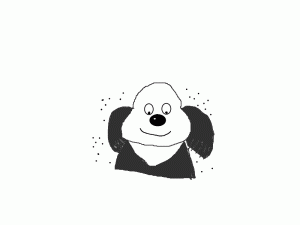 I find the “Farley” figure to be too small and fluffy to be like the dog in the strip. The eyes are “Manga” style, which isn’t like the Farley character. Great work, though! 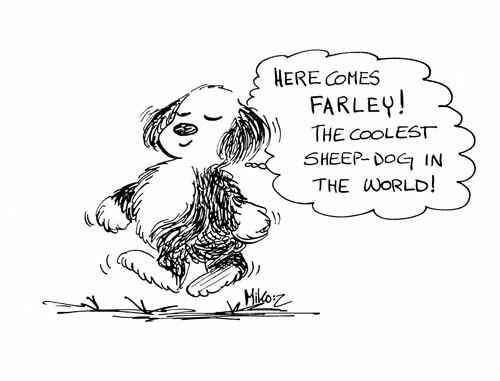 #2) This is a really good “Farley”! #3) For age 7, this is a really good drawing. All the elements are there and the artist has thought about furniture as well as characters. The perspective needs adjusting, but otherwise, I’d say this artist has talent! #4) I choose this one as the winner because I like the composition. I like the way the dog is relating to the boy. This is definitely a “Farley look”. I like the fast and fanciful way the dog is drawn. 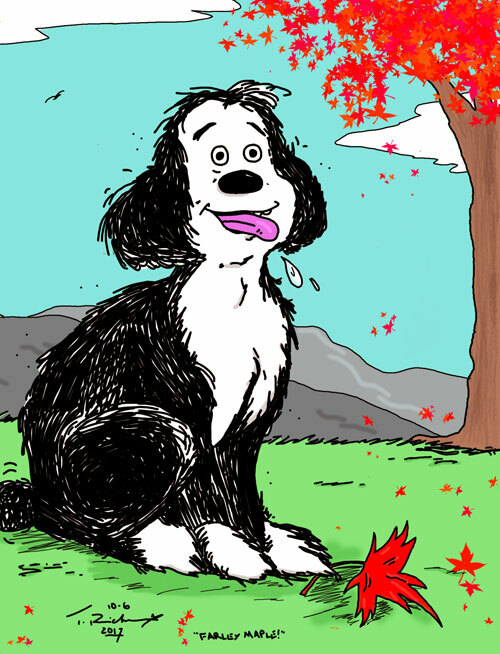 #5) This is too much like “Snoopy” to be a Farley drawing. Farley never danced on his hind legs. Nice drawing though. I think this is an older artist who has had some art training. Maybe even a pro! #6) I love this charming little sketch! It’s just the head, but it’s a sweet drawing and I’d put it in third place! #7) This is a good drawing, but because I am not familiar with computer drawing, I have a hard time knowing how this was done. 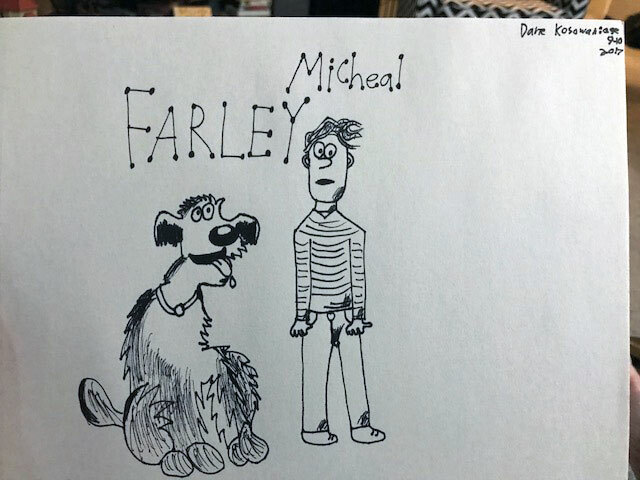 If it was done freehand, then it’s a really good Farley. This is where “judging” these pieces is difficult! I would give this second place. 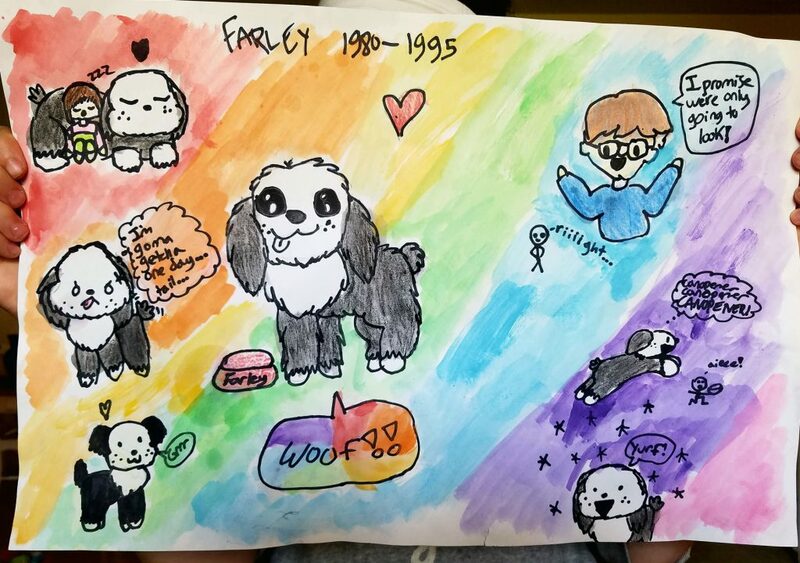 This entry was posted in News and tagged Farley, farley art contest on November 7, 2017 by fborfwnews.